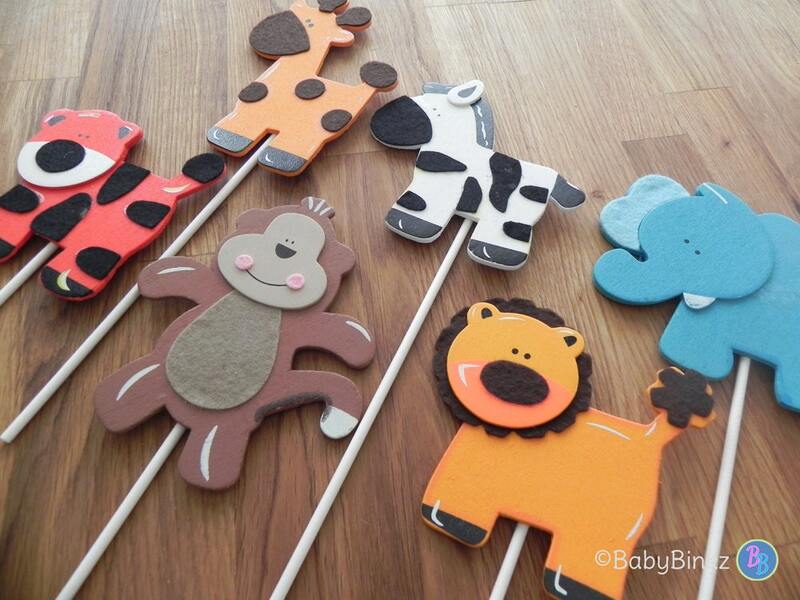 Our Jungle Animal Shape Cake Toppers will be the perfect addition to any party! 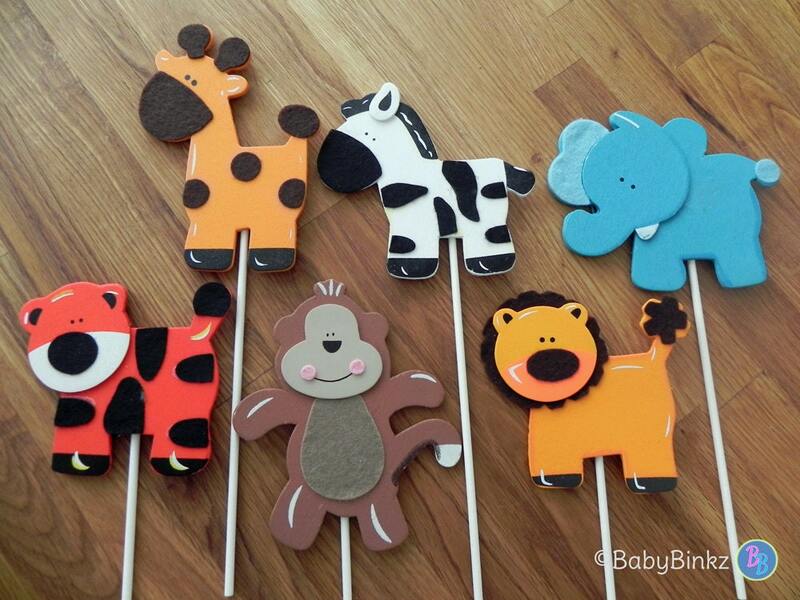 Each set includes 6 Painted Wood Jungle Animal Shapes (approximately 3.5"-4" each) mounted on an 8 inch lollipop stick. They can be used as cake toppers, or to add a jungle flair to other party decorations and centerpieces. All 6 of your toppers come fully assembled & ready to use! After the party, the shapes can be removed from the stick, and used for decoration or in other crafts. You will receive one topper in of each of the 6 different shapes.